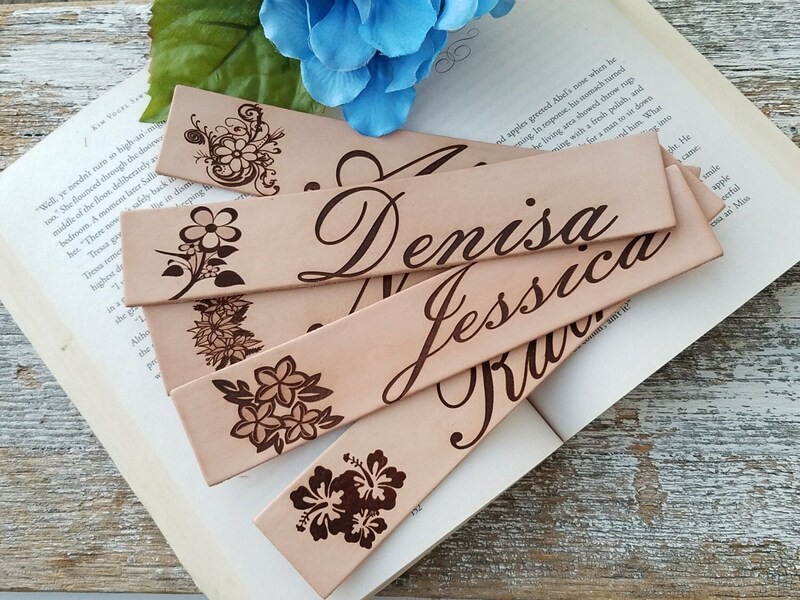 Our leather bookmarks can be CUSTOM engraved with your own design and names. These bookmarks will make a great gift for the cheerleaders team, sports team, choir, orchestra, band or your girlfriends. 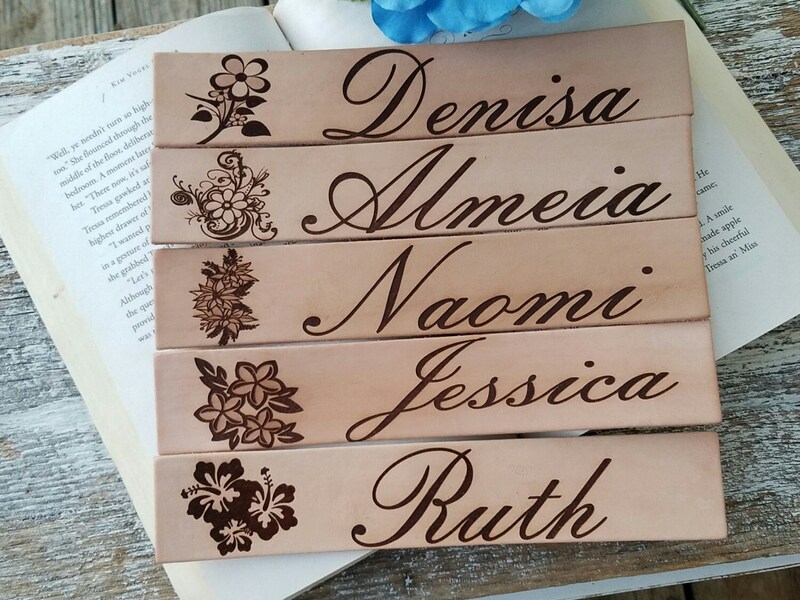 QTY: 5 custom engraved bookmarks. Need more or less than 5? Contact us and we will gladly make you a special listing.